This was a part of the tour that was added after the itineraries were sent out ahead of time. We got the chance to visit it because one of our tour hosts, Dan Hinkley, has worked with the arboretum in the past and sent them specimens. Arboretum Wespelaar is a world class arboretum. 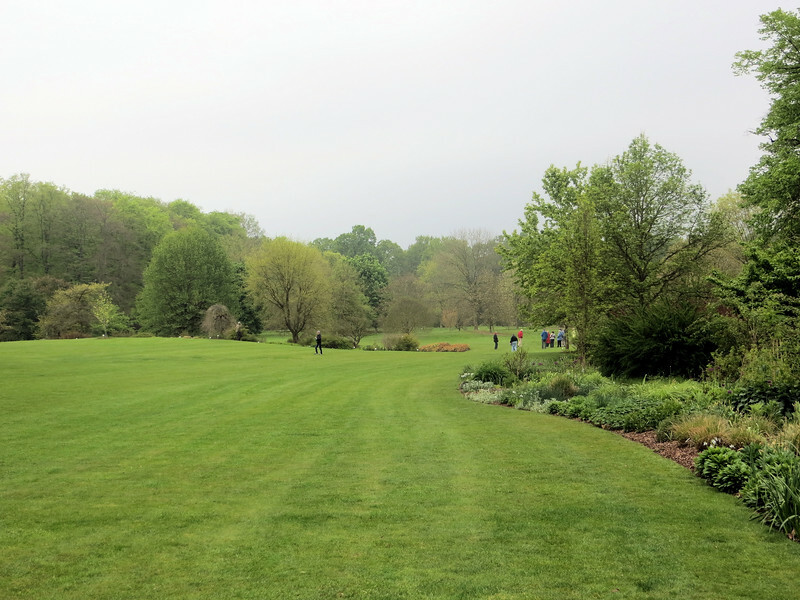 Arbnet, an international accrediting agency for arboreta, classifies Arboretum Wespelaar as a Level IV arboretum, its highest rating. Only 17 arboreta in the world have earned this distinction. It was started in 1985 by Philippe de Spoelberch, the man who heads the company that makes Stella Artois beer. Today it is owned and managed by a foundation. although he is still closely involved. In fact, because he knows Dan Hinkley, he met with us at the beginning of our tour and welcomed us. I enjoyed strolling through the grounds, but not being a tree person, I probably didn't appreciate it as thoroughly as I should have. The arboretum was opened to visitors in 2011. However there are no hard surface paths. You feel like you are wandering the grounds of some vast estate. Actually it looks like all these trees just grew up naturally where they are, but of course that is not the case at all. The arboretum contains 2023 species and varieties of trees, of which 177 are on the Red List, i.e. endangered.